We are CellOfHell-an international Hard Rock Band consisting of 3 electric cellos, and drums. Cellists are Georg Dettweiler from Germany, Ekachai Maskulrat from Thailand and Joonas Pitkaenen from Finland. Our drummer is Alex Waeber from Switzerland. We made our debut in 2014 at a Festival in Germany. After that initial success we started storming the world with our authentic,unique sound, as CellOfHell. Since then we have been playing in clubs in Switzerland and Germany and we have appeared twice at the Klangbasel Festival. We have taken part in the Basel Chamber Orchestra’s Nachtklang Series. Also we have performed at the Festival Klassikanderswo, the International Haendelfestpiele Göttingen, Musica Bayreuth and the Rockfestivals Rock am Rhy and Rohes Fest Basel. 2016 saw our first studio recording- our awesome album Braindead. On this you can find incomparable tracks like ‚Stinky Tofu‘, ‚Dirty Antonis V‘ and ‚Braindead‘. The title track Braindead has listeners bouncing and shaking their heads-an exhilerating experience. The band’s wacky vibe has attracted attention not only at clubs and rock festivals, but also at classical music festivals. 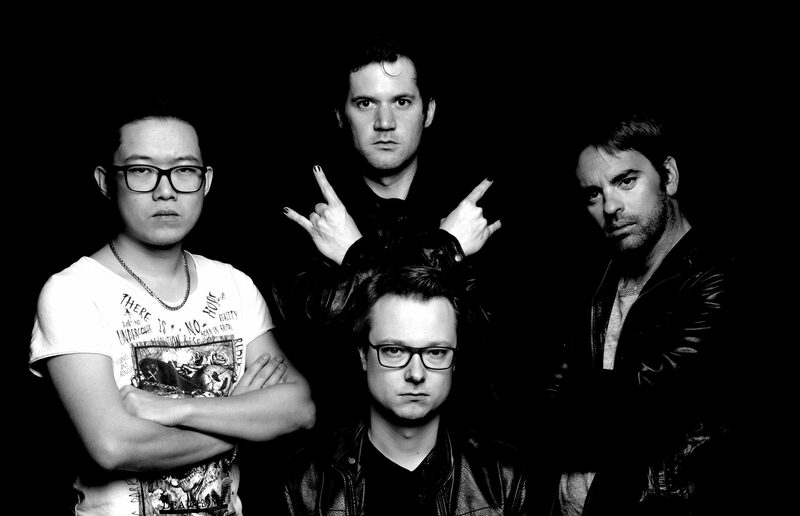 It’s the cellos and the arrangements which make CellofHell an ideal group to showcase the connection between rock and classical music. The band has been working on songs by famous classical composers, giving them a Hard Rock makeover. This meeting between rock and classical music provides a compelling and immersive experience.